Ant-Man is the name of several fictional characters appearing in books published by Marvel Comics. Ant-Man was originally the superhero persona of Hank Pym, a brilliant scientist who invented a substance that allowed him to change his size. 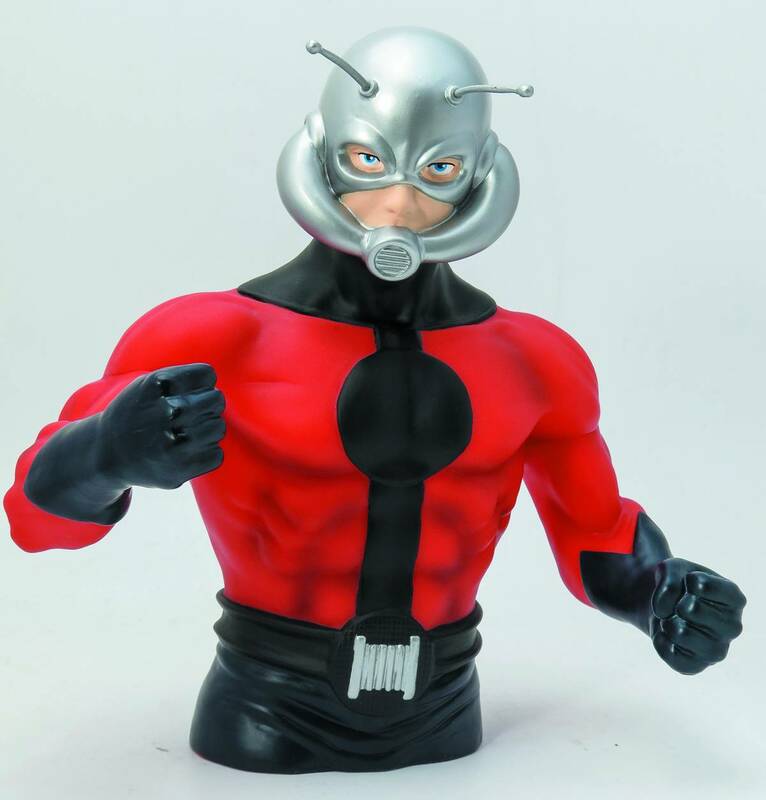 Starring in a film this summer, Ant-Man has been sculpted as a bust bank.. Copyright © 2019 Comics Conspiracy Ltd.